Noa Yekutieli is an artist known to draw source material from places and contexts around the world to critically compare the ways in which different histories and motivations shape specific cultures. 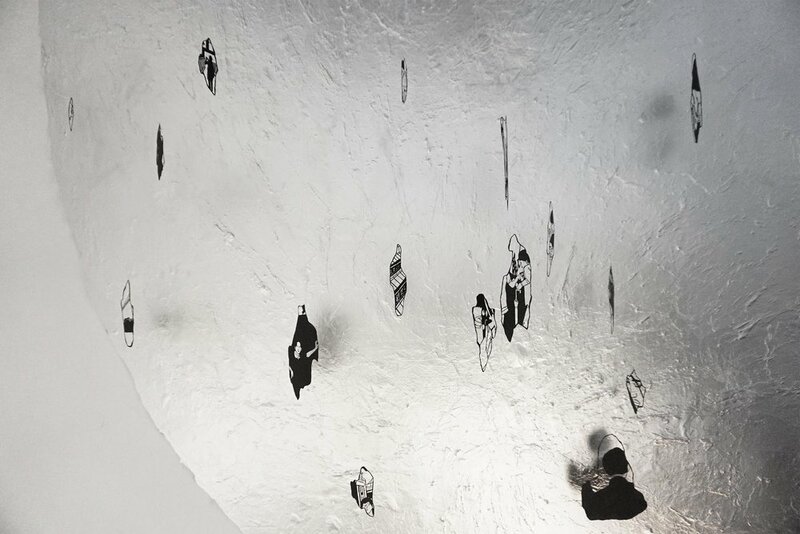 Moreover, she explores the conception and deterioration of memories over time. During a three month residency in Taipei, a city new to the artist, Yekutieli photographed the places and people around her. The photographs hung in the artist’s studio where she made visual associations between Taipei’s approaches to confrontation, nationalism, occupation, resistance, war, and destruction with various other political systems from around the world. The source images from Taipei were combined with images from Israel and Palestine before translated into the artist’s signature black paper cut pieces to create a fluid, floating new geography. 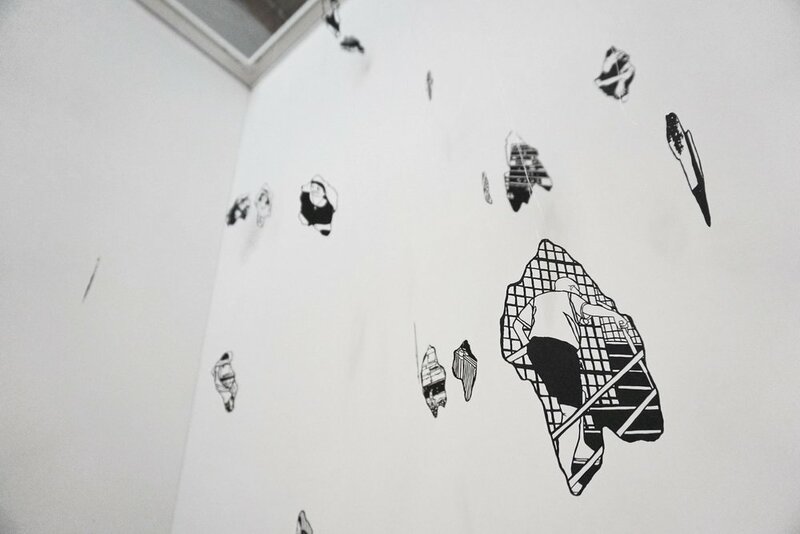 The bits and pieces of images rendered in black paper silhouettes sparsely hang from a net in the site-specific installation. The spotty installation of floating paper recalls the space of individual and collective memories that are present, yet scattered, in motion, and evanescent.